Have you ever experienced trying to skate on ice? Skating is already hard, even when on a hard, stable surface like concrete. What more if you tried to skate on ice with ice skates? For one, you’ll have a hard time trying to skate on blades. You’ll also have to learn to balance yourself. If you’re not a natural, don’t even wonder if you find yourself on your back more often than not. If you want to learn, take note of these beginner tips. Since you’re only beginning, you should learn the proper way to avoid falling. Too many people try to impress and only end up looking foolish. The trick is to keep your knees bent and transfer your weight to your feet’s balls—the part near the end. Keep your arms out to the side, just as if you’re balancing yourself. You should also keep your tummy in and your chest and shoulders forward. 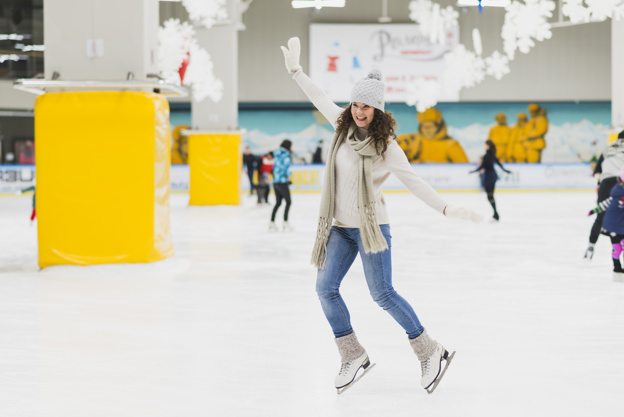 When learning to skate for the first time, take small strides on the ice using your toes to point the way. When you start to move, you should keep your feet centered, lest you slide too much and you lose balance and give up control. If you want to stop, you should get your feet parallel to each other and then use your heels to stop. As when you’re learning to ride a bike, it’s better to take things slow and steady the first time. When you need to turn, it’s better to do it using your upper body to direct the way you’re skating. Use your shoulders to tilt yourself to the direction you want to go. By tilting it to the side or to the other, you’re going to create a round arc turning toward where you want to go. The blades on your skates are what keep you gliding across the ice. If you feel that you’re giving up control as you move on the ice, there might be something wrong with the blades. You should have it re-sharpened and fit for skating again. There’s nothing you can do if you’re using rented skates; the amount of use must have driven it to wear and tear. You should protect your skin when you’re in contact with ice. When you fall—and you’re going to—you should get up using your hands balled into a fist. It’s in this form that you should push yourself to stand up and get skating again. Remember, the harder you fall, the stronger you should rise up. Even if it’s only skating, you should all the more stand up and get gliding again. The nicks and bruises will be a story to tell when you become better. There are a lot of hobbies you can get into. One very cool (pardon the pun) and really de-stressing hobby is ice skating. Even if you’re not an expert, you can always poke fun at yourself when you fall. However, you should also find out if the sport is for you and if you’d like to pursue it full-time. Most people become experts when they’re really dedicated to their craft. In the world of ice skating, your dedication can take you places. Here’s how to figure out whether ice skating appeals to you. For some, a hobby takes real dedication and the need to get into the sport overcomes anything else. That need overcomes even when you look foolish—most especially if you’re still learning. If you know that you’re going to fall a lot and you still enjoy skating, you’re going to get really good. When you hit the gym and you’re really serious about figure skating, you’re going to focus on getting your legs and stomach developed. These are body parts whose muscles control whether you’re going to fall bad or not. If you’re serious about skating, you’ll be serious about leg works. Even if you’re old, you can still learn ice skating; it’s just better to start learning if you’re young. 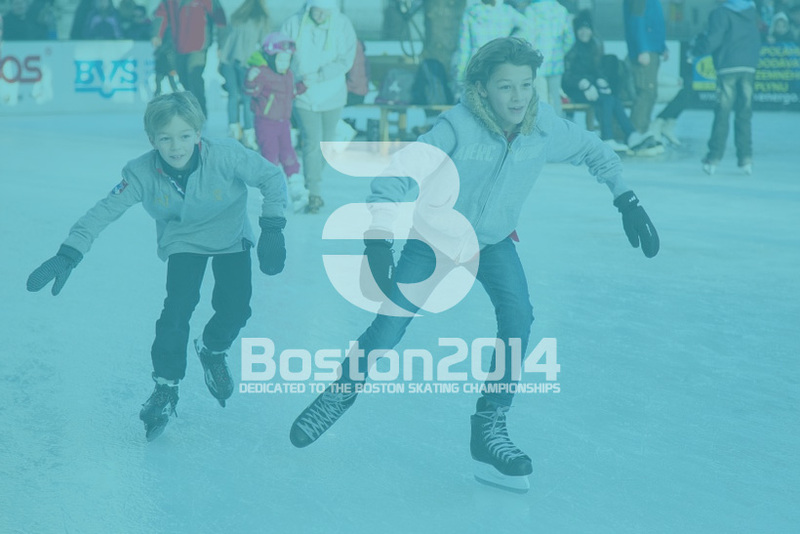 There is skating programs your children can get into if they’re interested in learning how to skate. You can also enroll them in summer programs help by figure skating associations. 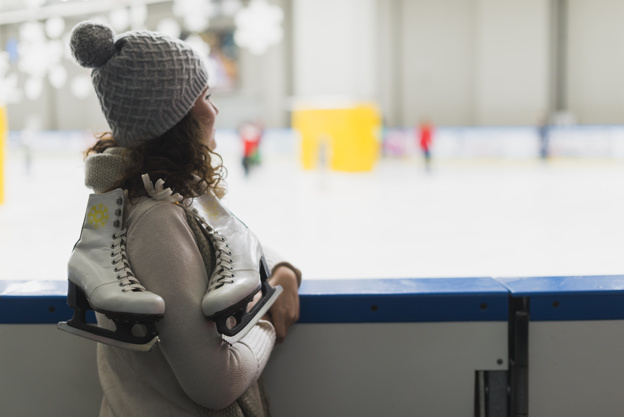 Ice skating involves a lot of training for the legs but that’s not the only training available for you. Training involves getting the most out of flexibility. 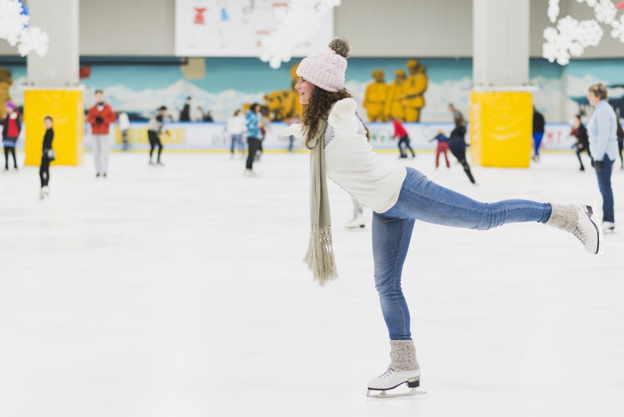 If you’re truly serious in getting into figure skating, you’re going to train your foot for quick movements and strengthen your knees. Ice skating is a sport where you need presence of mind to execute routines. If you’re serious about becoming good in it, you’re going to concentrate a lot on completing routines. This also means that you’re going to stimulate your mind a lot with the concentration and memorization of movements. When you want to get into ice skating, you’re going to start getting competitive. 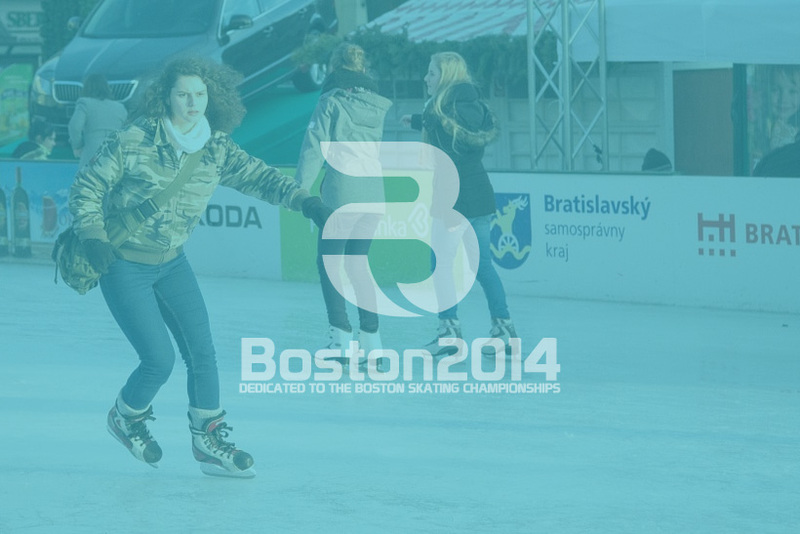 There are events held to make ice skating more inclusive, with beginners and amateurs getting into competitions along with intermediate and competitive skaters. Becoming better means emulating those who are already ahead on training. These are only a few tips to study to get better in ice skating. If you want to pursue it as more than just a hobby, you’ll know to start searching for ways to better your craft and get more training. 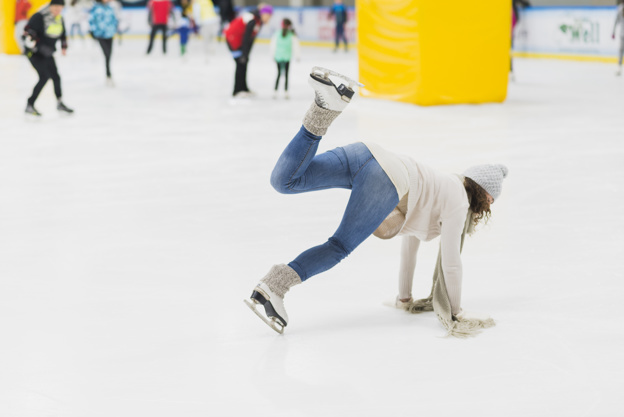 When you step on the ice, it’s either you’re really confident in your skills and abilities, or you’re just really brave and don’t mind a fall or two. 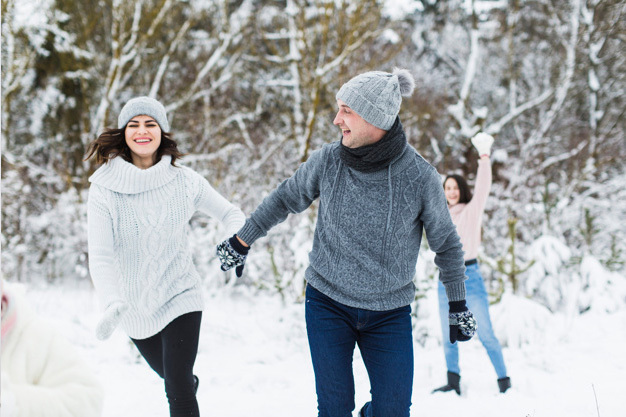 If you’re looking to create a sensation on ice by becoming really good to look at or just really entertaining by the way you stumble and laugh about it, you should find out what to expect on the ice. From people who were once beginners, here are the things to expect when you lace up your skates and you step on the ice. This doesn’t mean you shouldn’t look down on yourself; it means you shouldn’t look down on your feet too often. It’s very simple why you should do it. Your lower body will take care of itself and, once you get practice, it’ll be natural for you. What you should look out for are bodies colliding into you. If you plan to succeed, you shouldn’t cheap out on yourself. When you’re buying skates, you shouldn’t go for the cheap ones; instead, buy good skates if you’re serious on becoming good. If you’re just beginning, and you don’t want to take things seriously, you can settle on hiring rental skates. In every sport, warm-ups are the most important part. If you want to have fun on the ice, you should stretch properly. You shouldn’t sacrifice warm ups just for the sake of going on the ice too soon. You should also be careful of the type of warm-up you’re going to do too, since you’re on the ice. If you’re adamant on being good, you shouldn’t sacrifice learning too. 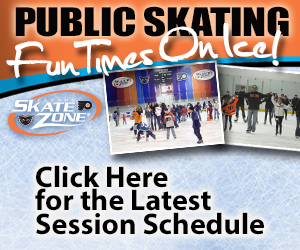 There are videos and group sessions where you can get tips and pointers on your routine and skating. If you’re too shy to take them alone, you can bring a friend or two; learning with others makes the activity twice as fun. When you’re skating, you have to know your surroundings. This is helpful if you’re skating on a public rink along with other skaters. If you’re training, you shouldn’t lose focus too; the moves you’re doing are advanced and it could be really easy to injure yourself if you happen to lose sense of your surroundings. Never, ever lose confidence. If you think you’re doing something wrong, look around and spot people doing the right thing. Don’t be afraid to ask for advice too. The best way to become better is to admit that there are still a lot to learn, even if you’re already experienced. The best figure skaters in the world started as novices once too. If you’re serious about becoming better, learn to be better. Don’t be afraid to admit that there are things you can’t learn on your own and asking for help from those willing to help. You’re never too old to get started on a hobby you want to pursue. Some people find building model kits as a passionate hobby. Others see anime as a hobby they could get into. Others take it further and dress as their favorite comic book or anime character. 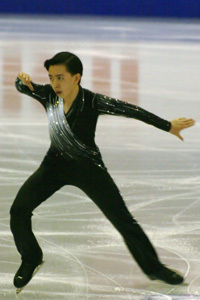 For athletic people, figure skating could easily become a passionate hobby. They say sports are better if you get into it at a young age. However, there is still a benefit to getting into sports—like figure skating—even at an advanced age. Here’s how to be a figure skater even when old. More accurately, this means you should seek out skate schools. These schools are run by experienced professionals and normally they hold classes for adults on the weekends. They may charge you a fee for training. It is important to enroll in such schools because here is where you’ll learn the basics of skating on the ice like a pro. Enrolling in these skating schools does not guarantee you’ll be practicing alone. Normally, schools like these are sought after by young people for their own training or wants. If you want to train on your own—out of shyness or whatever reason—search for safe patches of ice. This is easy during the winter, but in the summer, you’re better off in a community ice skating rink. Despite being a hobbyist, there are certain routines available for you to learn. You may choose to study jumping—a part of free skating; dancing on ice—a standard of dance routines; or even become part of a team—a normal thing in synchronized skating. What you do depends on whether you feel skilled in any or all these areas, or where you feel most comfortable at. As with any sport, you may extend your goals beyond just making it a hobby or training. Some people become even more competitive when they try out a sport. These people often find themselves progressing beyond mere recreational levels and turn amateur before going pro. 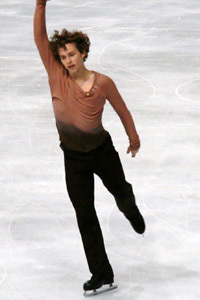 In the case of figure skating, some adults have successfully transitioned into national competition levels. The best and most correct way of knowing whether you can do it or not is to try it out for yourself. Who knows? Maybe figure skating is your de-stressor and what you should do both at the same time. You’ll never know until you at least try to skate. Weekends should be fun, and skating is one of the best activities to have that fun. If you want to skate, seek out where these schools are, and try out a session yourself. There are lots of ways to become successful in a sport of your choosing. You can choose to enroll in training centers and look for ways to better your craft. You can also choose to have a personal trainer well-versed in whatever sport you want to do. You can also do the training yourself, but the results can come out not as you expect it. If you’re thinking of getting into figure skating, there are ways to prepare yourself. One of these is through different activities that strengthen parts of your body needed for figure skating. Hopscotch is a game where you jump from box to box. You draw the boxes using chalk and you use a marker to keep track of where you last stopped. 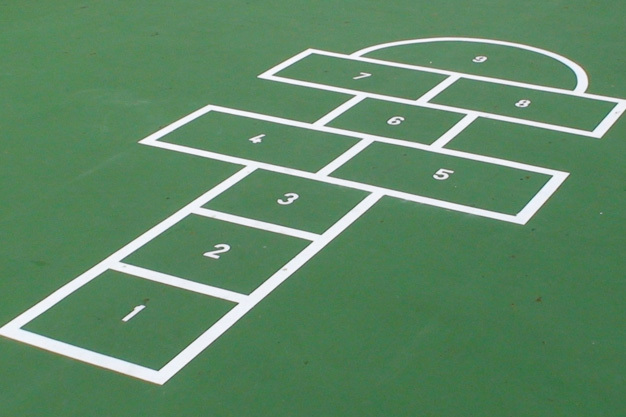 The goal of using hopscotch as a cross-sport is to allow your leg muscles to develop for leaping. Another good exercise for the muscles you use for jumping is jump rope. It’s easy to create; you just tie two ends of a string to a handle and get people to swing the rope as you jump. You take turns when someone gets it wrong. It’s also good for developing rhythm, which you use during certain routines. Skip to my Lou is a classic children’s game where you skip on one foot and then do a quick-step with the other. It’s a good game to play if you want to learn how to strengthen your muscles for skipping a bit, and a great game if you’re practicing your timing and rhythm too. There’s no better game for developing the speed to drift forward than tag. Tag is an easy game to play. You choose an ‘it’ who tries to capture you. When you become ‘it,’ you also need to chase after others who are playing the game. It’s a good game designed to help you gain balance and speed. This game stimulates your imagination as you balance yourself on a line. 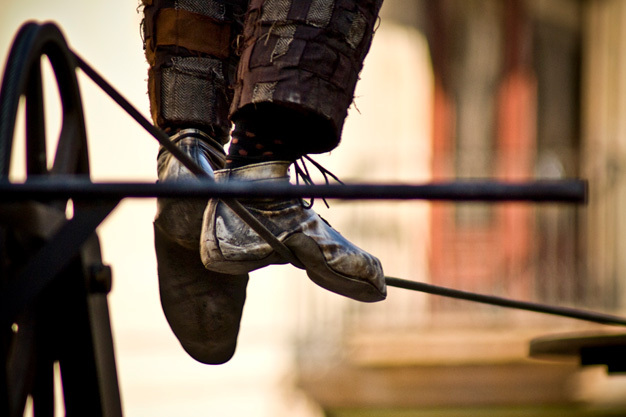 You imagine that you’re actually balancing yourself on a tightrope, where everything starts over again once you step out of line. It’s a good practice to keep up balance and develop your muscles some more. When you’re dancing, as a figure skater, you need to do a lot of things at once. Nothing emulates that effect than dancing to music that makes you ‘twist and shout’. The benefits of this activity become visible when you learn to step to the rhythm while also keeping your balance shifted from one foot to the other. The great thing about these activities, though, is that you can have someone else help you. In that effect, you also develop team work and camaraderie among peers. Ice skating requires a certain degree of dedication and the drive to succeed, even if you’re only an amateur. To be really good, you have to know which things you need to do and those that you don’t. You do need to really want it to succeed; you don’t need to be lazy and lose focus if you want to become better in the sport. If you want to get into this activity, here’s what you need to have or do. 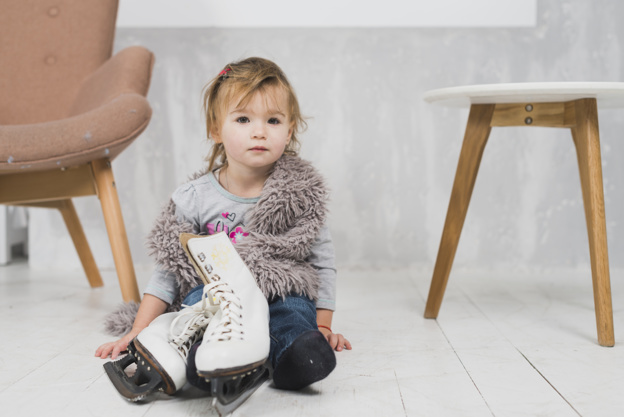 It’s a rookie mistake—forgetting to tie your skate’s laces up well is like forgetting to account for injuries and different problems. 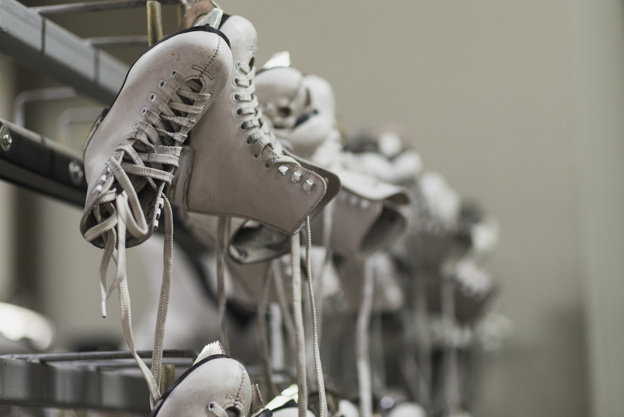 Loosely tied skates may give your feet blisters. There’s another reason for tying them up well too; they prevent the cold from coming into your feet and give you frostbite. If you don’t tie your skates up very well, you could see yourself in the hospital soon. When you’re skating on ice, it’s nice to have a smooth, even surface to work with. This is already assured if you’re skating on an artificial rink. But during the winter, there are plenty of lakes and rivers for you to skate on. You have to know what conditions these lake and river rinks are in before you even try to skate on them. That’s only natural, if you want to skate without problems. When you’re skating, and as a beginner, you tend to fall, and fall down hard. If you want to keep your limbs—and especially your head—intact, wear safety gear. These safety gears include helmets, arm and leg pads, as well as good skates. Having these helps keep you at ease. If you fall, you can fall as much as you want without the risk of injury in your head. On uneven, temporary ice lakes and rivers, you’re bound to run into different features brought upon by the environment. Since there is no one managing the ice on these, you contend with ice cracks, uneven surfaces, and other features you have no idea of. You have to be extra careful if you’re skating on ice. This gives you the added benefit of avoiding accidents. As a kid and a beginner, you get to practice stopping and other techniques on the ice. When you’ve got these under your belt you don’t get any problems. The problem here is when you’re a skater learning your stuff at an already older age. You need to practice how to stop if you want to enjoy. Keeping yourself safe is the most important thing when you’re on ice. Watch how you skate most especially; once you get the hang of skating, you’re going to enjoygetting better. Winter in Boston is enjoyable. That’s right, the harsh cold, winter backlash, and even the deep snow is enjoyable if people knew how to appreciate it correctly. There are a lot of ways to do this; you only have to look and imagine what activities the snow gives that the sun takes away. The best people to ask about winter in Boston are those who live here. After all, they know how terrible it can get; it’s a way of life to them to make as much of the snow and experience of plowing through it as pleasurable as possible. From the mouths of Beantown residents themselves, here’s how to appreciate snow days. Boston residents have learned to appreciate the snow so much that they’re prepared for it. The best way to go out into the snow is to dress for it. Gap, Canada Goose, and other clothing apparel have fashion made specifically for the crazy Boston weather. If that’s not your cup of tea, you need to get a parka that’s going to keep you warm for that outdoor trip. During the winter, most residents find retreating inside a welcome solution to trudging outside in the cold. If you’re feeling the doldrums and want a little sunshine into your life, you need to get it literally by buying a UV lamp. It’s not the real thing, but it solves the problem of feeling warm. That is, if the thermostat doesn’t solve the need to feel the sun’s warmth on your skin anymore. This is serious talk; before winter approaches, you make sure your heating system is at 100% efficiency. This is important for when becoming a cold popsicle during the winter doesn’t work for you. A heating system is a boiler, a furnace, or a radiator. You don’t have to deal with this problem if you live in a building, but if you own your home, you need to contact the repairmen at the earliest time. It’s not all bad during the winter. Just because it’s snowing outside, that doesn’t mean you have to look all dreary and emotional inside. You can enjoy the snow if you go ice skating. You can dust off the old sled and introduce your children or friends to a new kind of fun. There is also the timeless tradition of building snow men, snow forts, and having snowball fights over them. Understandably, people would want to stay indoors during the winter if they don’t have important business outside. If this is you, then you’ll know that you can have food and groceries delivered right at your doorstep. If you’re saving on gas for cooking, food delivery can feed you; otherwise, groceries can help you keep up a sense of normalcy by preparing the food yourself. That’s it—how to prepare for a Boston winter. It doesn’t have to be too sad in the winter, if you know what to expect and what to do to solve it. 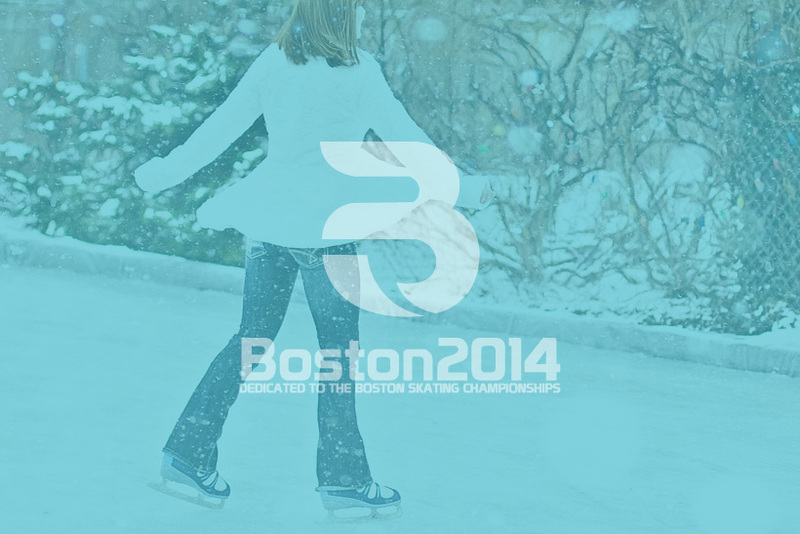 Boston winters can actually be enjoyable by following these few tips. Christina Gao was born with skates laced on to her feet, it seems. From childhood to adulthood, aside from studying, skating was all that she knew. Her balancing act between skating and education—in Harvard, no less—was enough evidence that the girl was a brilliant, once-in-a-lifetime athlete that knew her priorities. 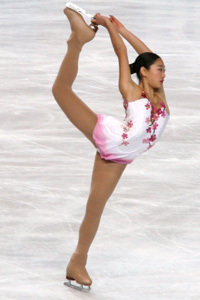 Currently, her priority is Harvard, which is why she chose to retire early from figure skating. Let’s take a look at some interesting facts about this fantastic figure skater. Christina Gao was once a slender, doe-eyed girl excited to lace her skates. From her native Cincinnati, the girl had to juggle time between school and skating practice. In the end, her passion won; often missing classes for skating practice, she had to change schools when she reached secondary education. She moved to Toronto just so her passion wouldn’t suffer even if she had to study. Gao was a brilliant student. Despite missing classes during her elementary education, she managed to go all the way to college, managing to enter Harvard. By this time, however, skating had given her tons of awards and recognition, but she was still not satisfied; she had to make time for her training while attending classes in college. Between high school and college, her achievements in skating came in droves. When it rained, it really poured for the athlete. She has a fifth-place finish in 2010; a fifth at three U.S National Championships; an eighth at the 2014 National Championships; and an 11th place at the most recent National Championships. Not bad for someone who juggled her career and Harvard. Being an excellent skater meant very little if she wanted a good run at Harvard. The life of an athlete is an unforgiving one, and the girl had to wake up early in the morning to train. For Gao, this meant that she had to miss out on the more interesting aspects of becoming a student in Harvard. While everyone was up in the wee hours of the morning, cramming, she had to sleep early to get up in the morning. Eventually, scholastic life won over her Olympic dreams—at only 21 years old, Christina Gao decided to retire pursuing her skating career to pursue an education in Harvard. It’s not a bad trade-off, considering the level of education she’s sacrificing her skates for. Christina Gao is only 21—that says a lot of things for the future of the once-competing figure skater. She can still lace up her skates if she so wanted, but for now, her education matters more. They say that to execute a pairs routine fully, you must have chemistry with your partner. If that’s the case, then Alex and Maia Shibutani got everything covered. The pair has proven experience at the Olympic level, and manages to make everything fresh and surprising. Maybe they’re also being a little unfair as they’ve known each other for the rest of their lives. Here’s everything you wanted to know about the ‘ShibSibs’—interesting facts about them, their lives, and their professional careers. 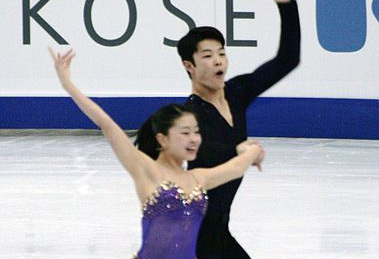 Maia and Alex Shibutani were born three years apart of each other. 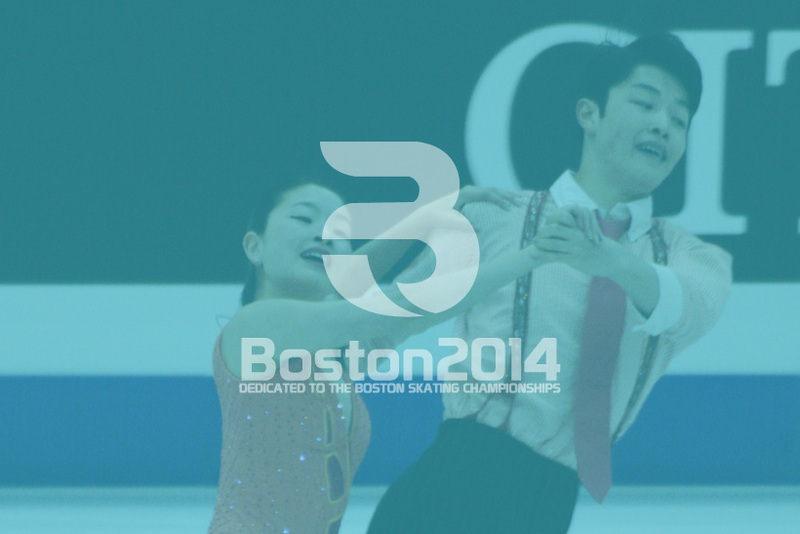 Maia has her birthday in 1994, July 20th; Alex Shibutani was born sometime in 1991. They got their break at a very young age; Alex began skating at 7 while Maia got her start at 4-years-old. The siblings are not to be taken lightly either; they are both back-to-back National champions and have finished ninth among the field at the Sochi Olympics in 2014. From the time they’ve started lacing their skates, they’ve won a medal at each competition they joined. The way they’ve trained speaks of their dedication. To prepare for the Sochi Olympics, they trained at Michigan, where they partnered with equally talented couples Charlie White and Meryl Davis. Scott Moir and Tessa Virtue were also training partners at the camp. The ShibSibs—as they are famously known—has a YouTube channel that they regularly update. This is where they regularly tell their fans their likes, dislikes, and activites, like the fact that Alex is 6’ and Maia is 5’3”, a perfect partnership for pairs skaters. Maia and Alex Shibutani perhaps still look forward to a life after skating. Maia loves food, and she thought maybe she’d love to cook after skating. Alex is also a foodie like her, but ever the consummate athlete, he loves his city; Alex is an avid follower of all Boston sports teams. 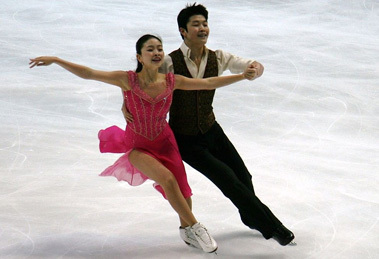 Alex and Maia Shibutani are still active in the professional skating scene. As much as you’d love to support them, know them as people more than you know them as athletes.